Good e-Reader has interviewed a number of non-profit and charitable organizations that are committed to increasing global literacy rates and building access to reading content in areas of the world that still seem pretty cutoff from this type of engagement. Some of those factors are geographical, in which publishers simply cannot get content in the hands of readers, but it’s also one of those situations that digital cannot fix; when readers live in an area with very limited access to bandwidth and don’t have credit cards to purchase digital content, ebooks are not an option. Library for All is a non-profit organization that is committed to bringing ebooks to locations like Haiti and Rwanda while recognizing that those locations do not always have consistent wifi. The structure of their system lets users view the entire catalog in order to select titles while offline, then when a user selects a book, it’s possible for the book to begin downloading, then if the internet connection is cut off for some reason, the portion that downloaded is already accessible; in addition, when the connection is reinstated, the book will pick up downloading right where it left off. This serialization allows readers to begin enjoying their content even if the full title hasn’t finished downloading. As many experts and industry watchers have already begun to explain, serialization is making a big comeback in other reading markets as well, due to things like time constraints and wifi access, so to adapt this technology to enable the serialization of a full-length title is a natural application of the concept. 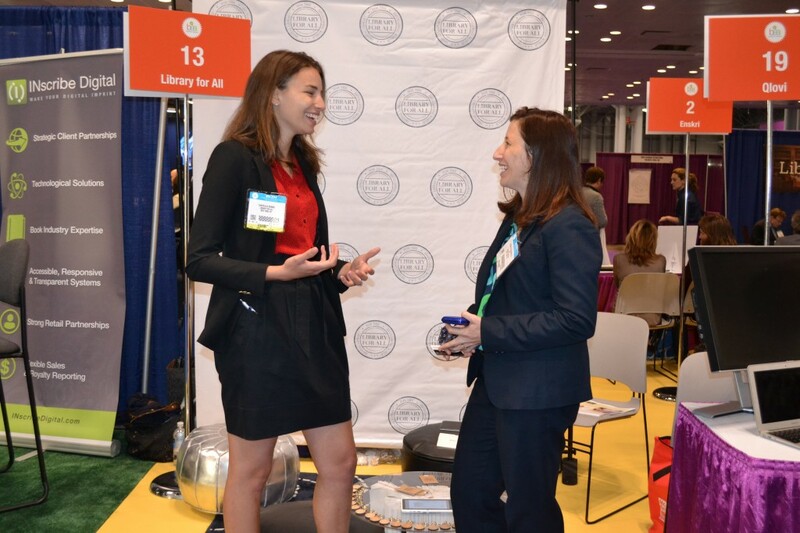 Library for All was a part of the Startup Alley at this year’s BookExpo America event and was actually involved in the BookExpo Startup Challenge. Due to its non-profit status, it was not in consideration for one of the top prizes, but did receive a special consideration from the judges and the sponsors.